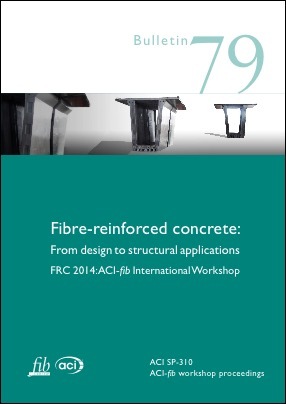 The FRC-2014 Workshop Fibre Reinforced Concrete: from Design to Structural Applications was the first ACI-fib joint technical event. The Workshop, held at Polytechnique Montreal (Canada) on July 24th and 25th 2014, was attended by 116 participants from 25 countries and 4 continents. The first international FRC workshop was held in Bergamo (Italy) in 2004. At that time, the lack of specific building codes and standards was identified as the main inhibitor to the application of this technology in engineering practice. Ten years after Bergamo, many of the objectives identified at that time have been achieved. The use of fibre reinforced concrete (FRC) for designing structural members in bending and shear has recently been addressed in the fib Model Code 2010. Steel fibre reinforced concrete (SFRC) has also been used structurally in several building and bridge projects in Europe and North-America. SFRC has been widely used in segmental tunnel linings all over the world. Members of ACI544 and fib TG-4.1 have been involved in writing code based specifications for the design of FRC structural members. More than fifty papers were presented at the Workshop from which forty-four were selected for this joint ACI/fib publication. The papers are organised in the document under six themes: Design guidelines and specifications, Material properties for design, Behaviour and design of beams and columns, Behaviour and design of slabs and other structures, Behaviour and design of foundations and underground components, and finally, Applications in structure and underground construction projects.